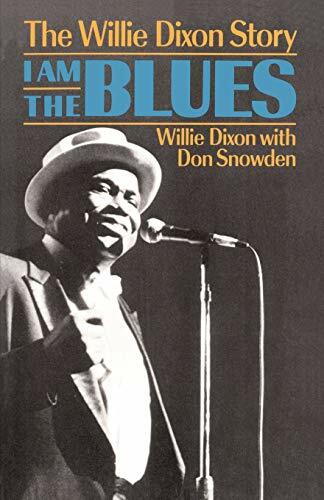 These are just a few of Willie Dixon's contributions to blues, R&B, and rock'n'roll,songs performed by artists as varied as the Rolling Stones, Howlin' Wolf, Muddy Waters, ZZ Top, the Doors, Sonny Boy Williamson, the Grateful Dead, Van Morrison, Megadeth, Eric Clapton, Let Zepplin, Tesla, Elvis Presley, Chuck Berry, Stevie Ray Vaughan, and Jeff Healey. I Am the Blues captures Willie Dixon's inimitable voice and character as he tells his life story: the segregation of Visksburg Mississippi, where Dixon grew up the prison farm from which he escaped and then hoboed his way north as a teenager his equal-rights-based draft refusal in 1942 his work,as songwriter bassist, producer, and arranger,with Muddy Waters, Howlin' Wolf, Little Walter, Bo Diddley, and Chuck Berry which shaped the definitive Chicago blues sound of Chess Records and his legal battles to recapture the rights to his historic catalogue of songs. Don Snowden, a regular contributor to the Los Angeles Times for over 15 years, has supplemented Dixon's reflections with interviews with other performers and Chess insiders, a comprehensive discography, and a list of the major artists who have recorded his songs.